Ecumenical Patriarch Bartholomew and Patriarch Kirill during their meeting at the Phanar. In an exclusive, orthodoxia.info reveals Constantinople and Moscow’s respective arguments and the points of conflict between the two Churches vis-à-vis the Ukraine issue, publishing part of the heated debate which took place between Ecumenical Patriarch Bartholomew and Patriarch Kirill during their meeting at the Phanar last August. For three hours the two Primates discussed the issues currently separating their Churches, from the Ukraine question and the Russian Church’s absence from the Holy and Great Synod in Crete, to Moscow’s position on inter-Christian dialogue. As revealed from the talks, the Ecumenical Patriarchate believes Ukraine does not lie within the jurisdiction of Moscow, something the Russian Church rejects outright. The Russian Patriarch stated that, “We have never abandoned the notion that we are one country and one people. It is impossible for us to separate Kiev from our country, as this is where our history began. The Russian Orthodox Church preserves the national consciousness of both Russians and Ukrainians.” He also expressed the opinion that at the source of all the region’s problems lies the Uniate movement, which dates back to the time of the Council of Ferrara and Florence. “If there were no Uniates, the Russians would not have ordained Metropolitan Job without the consent of Constantinople, they would not have declared autonomous status, and thus Constantinople’s jurisdiction over the territory would have continued indefinitely,” claimed Patriarch Kirill, adding with emphasis that the notion of a separate Ukrainian nation was developed toward the end of the 19th century by the Uniates so that they could expand across the country and seize control from the Tsar. What is evident from the discussion between the two Primates is that there is total disagreement between both sides, the Russian Patriarchate not only disagreeing with the decision to grant autocephaly to the Ukrainian Church but also with the Ukrainian state’s autonomy. The relevant dialogue follows. EP: Well, the Ukrainians don’t feel comfortable under the control of Russia and desire full ecclesiastical independence just like they have political independence, and this is why they have come to their Mother Church, which deems their petition just and as a result will act according in line with the decision of the Holy Synod, which is irreversible […] Other than President Yanukovych, whom I met a decade ago, everyone has come to the Ecumenical Patriarchate begging that autocephaly be granted. Not only president Poroshenko and the prime minister, but also the Ukrainian Parliament these last couple of years has put forward an official petition. MP: Your All-Holiness, these people you mention represent the same political bloc. EP: But they represent the Ukrainian people. MP: They do not represent the people. They effectively seized power by way of a coup during the Euromaidan. They are asking for autonomy in order to improve their standing because their hold on power is illegitimate. 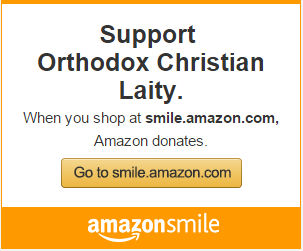 The people will overthrow them and then expel them, this is why they want the support of the Ecumenical Patriarchate. EP: The granting of autocephaly to the Ukrainian Church is a matter for the Mother Church. MP: The granting of autocephaly to the Ukrainian Church is not just a matter for the Mother Church but a question that concerns all Orthodox faithful, which means our Church too. “I believe dialogue is more beneficial than a mistake that will cause a rupture in Orthodox unity,” responded Patriarch Kirill, with the following dialogue subsequently taking place. EP: It was not the Ecumenical Patriarchate that caused unity and consensus to fracture. It was those who deliberately turn a blind eye to the primacy of the Ecumenical Patriarch in order to undermine the Mother Church of Constantinople and humble it. MP: Are you referring to us, Your All-Holiness? MP: Well, that’s why we’re here, Your All-Holiness, so that we can update you on this matter. EP: Your Beatitude, you allude to the millions of faithful constituting your Church and the political power of Russia. Yet, of these millions, how many are actually baptized? How many actually go to church? 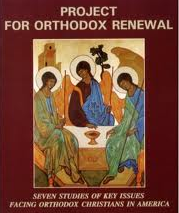 Orthodoxy has never been based on numbers but on the canons of the Church, its traditions, and its canonical order. Looking at the conversation between the two Patriarchs, apart from questioning the Ecumenical Patriarchate’s rights vis-à-vis Ukraine, it would appear that the Moscow Patriarchate also questions Constantinople’s right to review past judgements of other Synods as well as its ability to establish autocephalous Churches. With regard to the right to review past judgements, the Ecumenical Patriarch has asked for Filaret’s file which contains the many appeals the self-styled Patriarch of Kiev submitted to Moscow requesting his conviction be re-assessed. Patriarch Bartholomew cited canons 9 and 17 of the Council of Chalcedon according to which the Patriarch of Constantinople is given the right to receive such appeals and examine them. Patriarch Kirill, however, questioned this. During the meeting the Ecumenical Patriarch was especially critical of Metropolitan Hilarion of Volokolamsk, accusing him in front of Patriarch Kirill of behaving in a hostile manner toward the Ecumenical Patriarchate and repeatedly telling lies against it. Referring to a recent interview of the Metropolitan’s in which he appears to suggest that the Ecumenical Patriarchate is being paid to do what it is doing, the Patriarch came down strongly on his Russian interlocutor. Regarding inter-Christian dialogue, Patriarch Kirill’s position on this matter was particularly interesting. During his conversation with Patriarch Bartholomew, the Russian Primate stated that his Church has no problem with engaging in dialogue with the Roman Catholic Church, stressing that relations in fact need to be strengthened. He added, however, that the same cannot be said for the Protestants, as the Russian Church has clear reservations about recent developments in their Church, particularly the ordination of women and homosexuals. It is worth nothing that Patriarch Kirill also gave his own explanation of the scandals related to pedophilia plaguing the Roman Catholic Church these last few years.